NEST is a leading electronic system technologies company based in Greece that provides innovative products and services, bringing a new approach to the self-service and telematic solutions sector. Recently Nest has commissioned VETA to develop the custom hardware components for the company’s next generation automatic vending, kiosk and information technology systems. Working with a leader in cutting edge IT systems is a resourceful experience, thus VETA is proud to be the manufacturing subcontractor partner of NEST. VETA’S highly experienced and trained team emphasized on meeting NEST’S special requirements and needs taking into consideration requests associated with high-end, ergonomic – modular design, safety, latest developments in self-service industry, advanced user-friendly experience and cost-effective manufacturing solutions. In 2016 VETA was commissioned as a subcontractor by NEST to manufacture the metal components and parts of the next generation banking stores of Piraeus Bank that is the very first automated e-branch with remote cashier . Piraeus Bank is one of the leading banking institutions in South East Europe incorporating innovative banking solutions. VETA manufactured the hardware components for the complex fare collection system which covers a complete range of services for passengers as well as provides full system control and monitoring for operators. VETA constructed the hardware components, which are important for self-service in filling stations. Three Integrated Payment Terminals, TITAN, PROMITHEAS and ZEUS, for the rapid evolving market of the Automated Fuel Stations. NEST’s outdoor payment terminals are carried out by banknotes, coins, credit cards, smart cards, with or without change. Smart cards are used as electronic purses or loyalties cards. 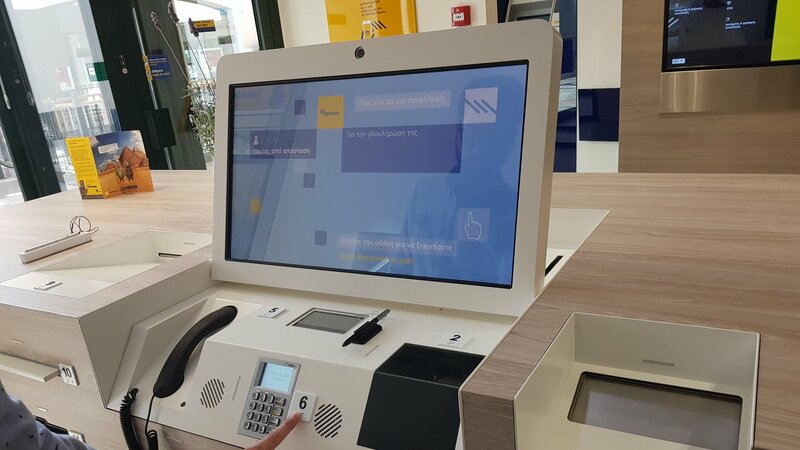 VETA participated in the manufacturing of the Hermes the NEST’s latest Self -Service Kiosk that will handle all daily Postal tasks, fast, securely and precisely. It will weigh the envelope or the package on a high precision dedicated weighting scale, evaluate the costs for shipping, depending on destination and weight, and issue the appropriate postal stamps within a few seconds, ready to service the next customer, thus decreasing the waiting time compared to traditional counter Postal Servicing. Receipts and change for the transaction are not optional, but standard features that make Hermes a stand-alone Postal kiosk. VETA fabricated the hardware component for NEST’S SiraQ, a cutting-edge queuing system that is not just a priority voucher issuing system, nor just an announcing “Next customer”… speaker system. The core of the system is a complex calculation engine that will control any queue in real time, taking into account cases such as reentrant queues, clerk lunch breaks, but most importantly, the “experience” that the core has gained through the past minutes, hours or days from the specific Service.